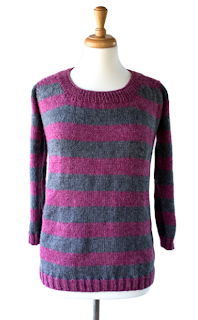 Today we have a guest post from blogger and knitwear designer Mari Chiba from Mari Knits. You may recognize her from our last blog post or from her recent pattern in The Unofficial Harry Potter Knits, Ginny's Cardigan. I’ve been intrigued by giant knitting needles in the past, but never got around to trying some out until recently. A good friend of mine asked me for a hand-knit wedding gift a couple of months ago. I knew that I didn’t have a lot of time, and I also knew that I wanted to give a gift that would be practical. I thought about matching hats, but I’m close friends with the groom and don’t know the bride as well - any sort of clothing item would be a big risk! 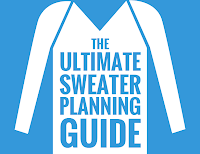 I scoured Ravelry and Pinterest for days trying to come up with the perfect hand-knit wedding gift. On Pinterest, I kept seeing beautiful big knit blankets, and then Craftsy had a sale on yarn, and it was meant to be! I made this blanket by holding four strands of bulky weight yarn together while using my giant Knitter’s Pride Basix US 50 needles. The needles are beautiful! You can see the grain of the wood, they are extremely smooth and shiny, the join to the cable is flawless, and if there’s a vampire attack they could double as stakes! Really, what’s not to love? This simple blanket is worked completely in garter stitch. I didn’t have a good idea of how big the actual blanket would be, so after knitting the entire blanket I went and picked up stitches along either side and worked a few more rows in garter stitch. I actually really like how this looks, but you could also just cast on more stitches! I would recommend a machine washable yarn for this project, because I don’t know about you, but my sink isn’t big enough for me to block this! 20 skeins Schachenmayr Silenzio; 50% Acrylic, 25% superwash wool, 25% Alpaca; 50g/60m. Shown in Color 92. I held four strands of yarn together. I used 16 skeins for the body of the blanket, then used the remaining four skeins for the garter edgings. Pick up and knit every other stitch along the side of the blanket, working into the garter bump so that holes don’t appear. Weave in ends and trim. 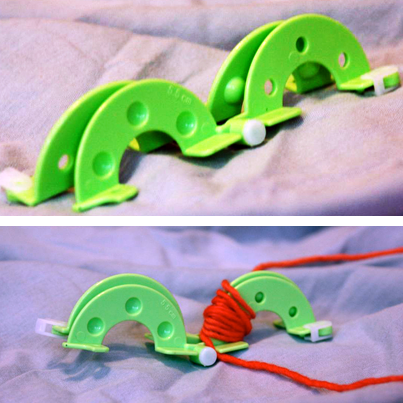 Machine wash and either air dry or tumble dry low depending on your yarn. Enjoy! Thanks to everyone who entered our giveaway this month! 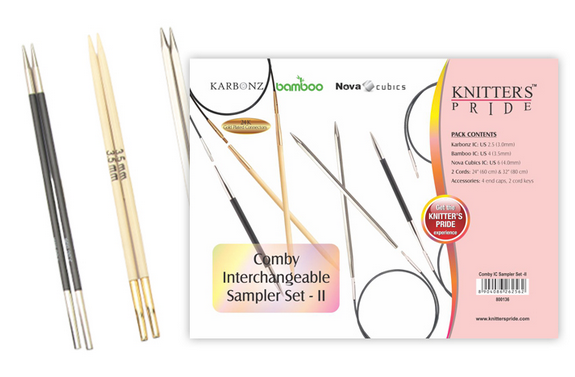 Raveler Jenonymous is our lucky winner; we will contact our winner to arrange for the delivery of the prize, a Bamboo DPN Set and a PDF copy of the KaPOM hat by Mari Chiba. 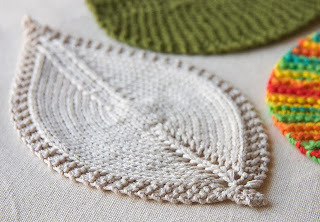 We're so pleased to be a stop on the Holla Knits blog tour this month! 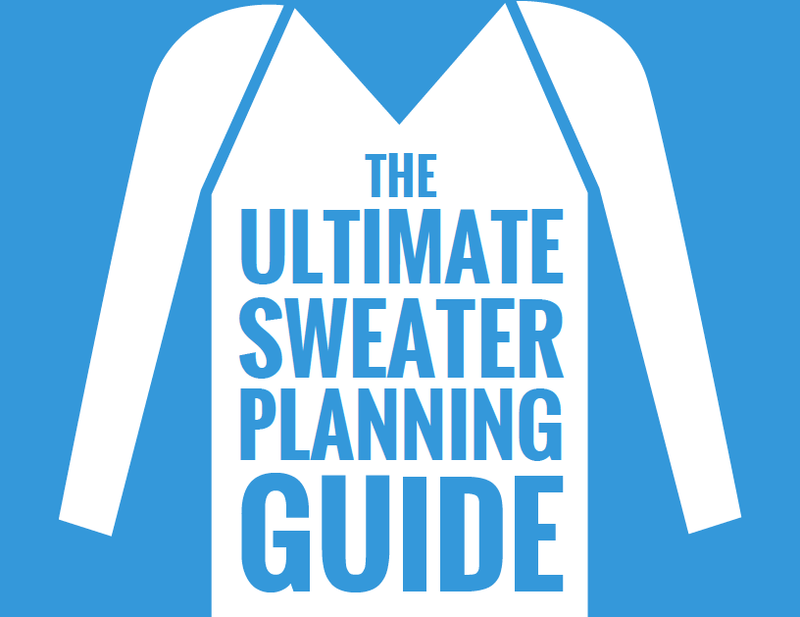 Just in time for your holiday gift-knitting, the 2013 Holla Knits! Accessories issue features six fun, fashionable accessories that are perfect to give and get this holiday season. The KaPOM hat by Mari Chiba is a fresh take on earflap hats, and it's also an easy way to incorporate pom poms, one of this season's hottest trends, into your wardrobe. If you're new to making pom poms, check out our easy-to-follow photo tutorial on the Knitter's Pride blog! The Pippi Cowl by Emily Greene Blue is a versatile bulky-weight scarf that knits up quick; it would even look great with pom poms instead of tassels! Keep your hands toasty all winter long with the Hodgepodge Mittens by Annie Watts - they're as fun to knit as they are to wear! 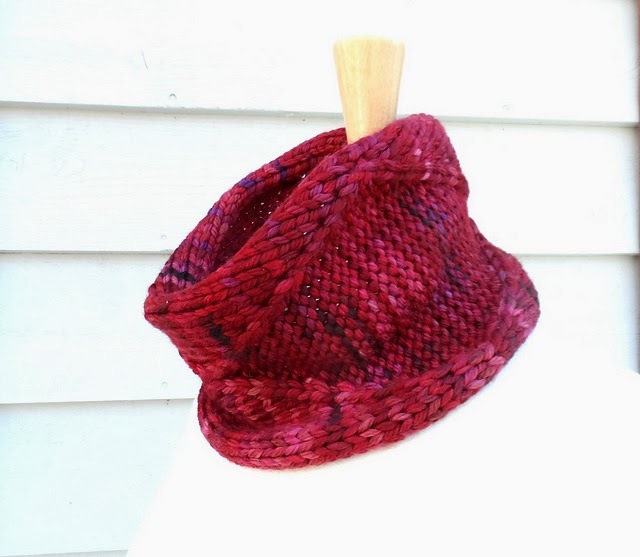 Speaking of colorwork, the Chumash Cowl by Karinknit Designs is simple to knit and completely reversible, too! Unbroken by Lee Meredith may look like a simple cloche-style hat with textured stitches, but the clever construction allows you to easily customize your project to fit any head - plus, there are no ends to weave in at the end (really!). No Glove(s) No Love by Claire Sandow are vintage-inspired gloves with a modern twist: a heart cutout created by multidirectional knitting, short rows, and some strategically placed increases and decreases. Ready to cast on? 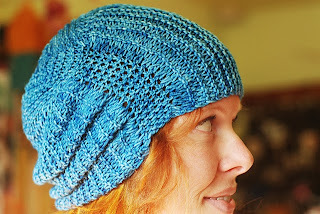 We're giving away an 8" Knitter's Pride Bamboo DPN Set and a PDF copy of the KaPOM hat to one lucky blog reader! 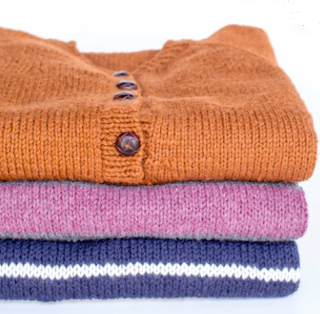 Simply leave a comment on this post telling us which Holla Knits! accessories pattern you'd like to make for your chance to win; be sure to also mention your Ravelry ID or email address so that we can contact you if you win. We'll randomly select one lucky comment to announce on Friday, November 22. Be sure to stop by the Holla Knits! 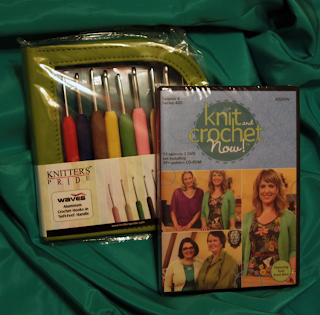 blog today for a special Subscriber Giveaway featuring our new Rejoice Pom Pom Maker Set, too! What Knitter's Pride set is on your wish list this holiday season? This week's blog post have 5 great gift ideas for festive holiday gifting, whether you treat yourself or surprise a friend! 1. 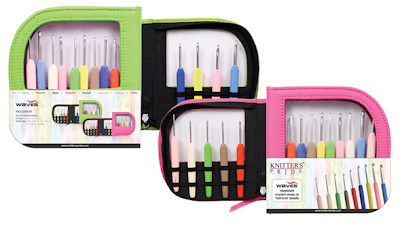 For Karbonz Lovers: Our Holiday 2013 limited-edition interchangeable needle set will be arriving at a store near you this month! 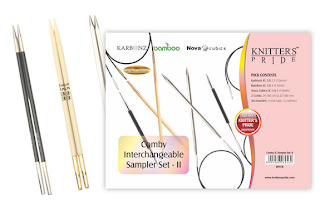 The Karbonz Box of Joy is comprised of our carbon fiber needles which have earned rave reviews since their launch last year, and we're pleased to introduce the ultimate set to give and get this year. 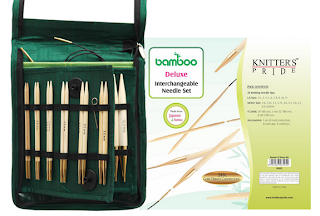 This Karbonz interchangeable needle set is packed in an attractive box with a laser-cut "tree of bloom" design, giving you a peek at the Karbonz needle tips contained inside. 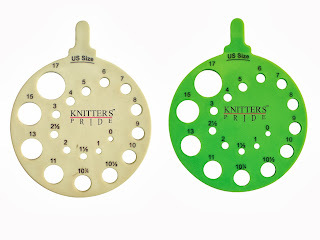 The set contains nine sizes for your knitting pleasure: US sizes 4, 5, 6, 6, 8, 9, 10, 10.5 and 11 (3.5, 3.75, 4.0, 4.5, 5.0, 5.5, 6.0, 6.5 & 8.0mm) along with 4 cords (one each of 24” & 40” and two of 32”), 1 set of cord connectors and a complimentary Shawl Pin from the new Azure Charm range. Only 2,500 sets will be made available (click here to find a Knitter's Pride retailer near you); once they're gone, they're gone! 2. 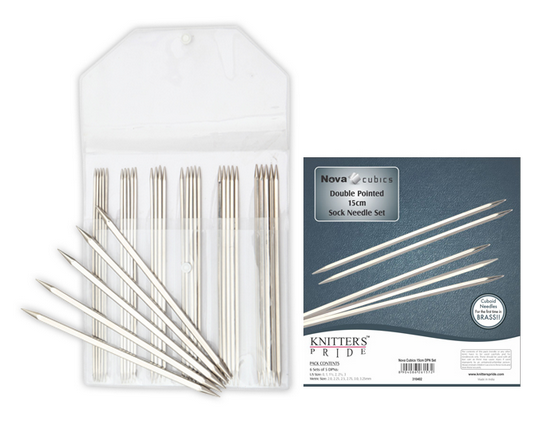 For sock knitters: We have plenty of DPN sock sets to suit every knitter! Our newest set is the Nova Cubics DPN Sock Set, which combines the strength of our Nova brass needles with an easy-to grip cuboid shape which provides excellent stitch definition. Each set is available in your choice of three popular needle lengths - 5", 6" or 8" - and contains 9 needle sizes ranging from US 0 to US 6. 3. 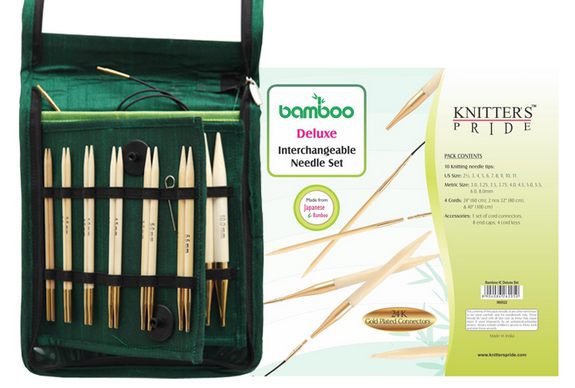 For warmth & luxury: Our Deluxe Japanese Bamboo Interchangeable Set is great for those who prefer the warmth of wooden needles. 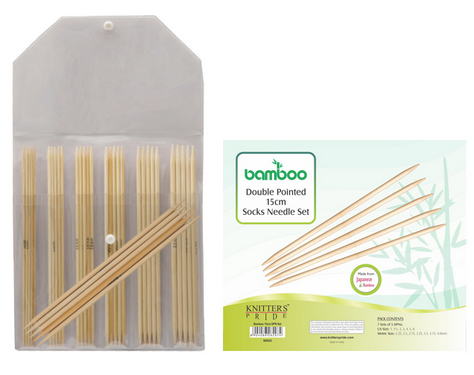 Made from the finest Japanese bamboo, these needles are lightweight yet durable. 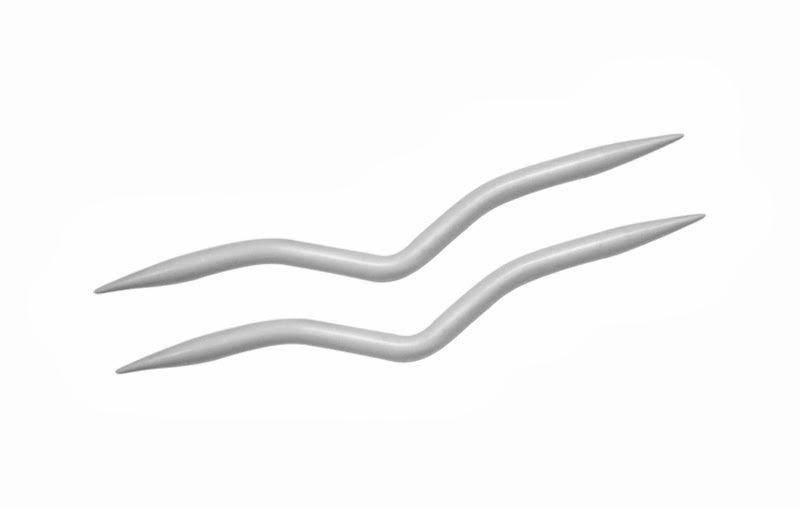 The interchangeable needles feature 24 Karat gold plated ferrules and connectors, giving them a touch of luxury. 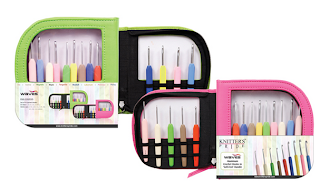 The Deluxe Set includes 10 needle pairs and accessories in an attractive green zipper case; we also offer a Starter Set, Chunky Set, Single-Ended Crochet Hook set and Tunisian Crochet Hook set in this line! 4. 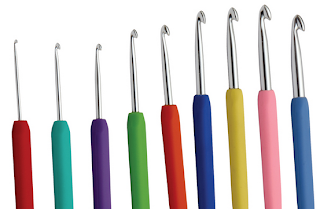 Merry & Bright: Our new Waves Crochet Set features a colorful rainbow of handles that are easy to grip for hours of comfortable crocheting. 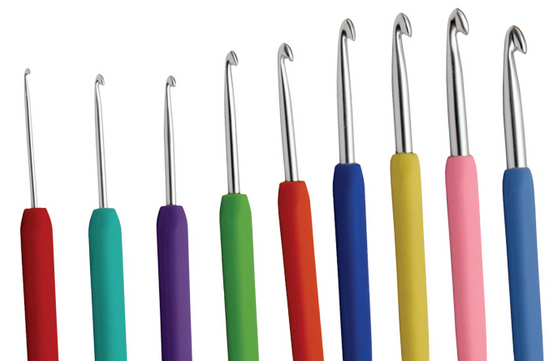 If you love the smooth finish of our aluminum soft grip crochet hooks, you'll love the color-coded handles in our newest line, Waves. Each set includes 9 frequently-used sizes packaged in an attractive fluorescent pink or green zipper case, making it great for gifting! 5. 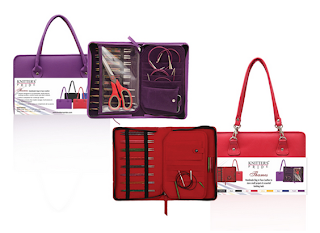 The Gift of Organization: our new faux leather Thames bags come in five fashionable colors; they're perfect for the on-the-go knitter (or crocheter) on your list! 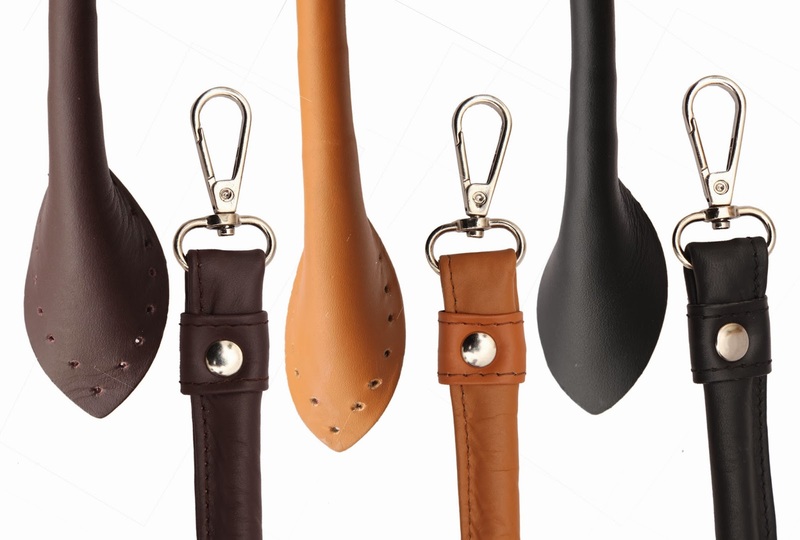 Each handmade bag is designed to accommodate small projects, knitting needles, crochet hooks, and other notions in separate compartments so that your essential tools are always within reach. Congratulations to Ravelers goblinqween, bearybearco and indiechixor - you have all won Rejoice Pom Pom Maker Sets in our giveaway this month! We'll be in touch with you shortly to arrange for the delivery of your prizes. 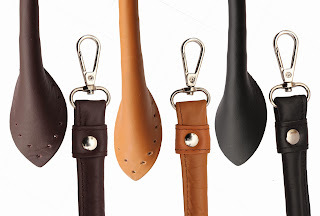 Thanks to everyone who entered our contest - be sure to bookmark us for more great giveaways this fall! In our last blog post, we shared a step-by-step tutorial for making this season's hottest accoutrement, pom poms, using our new Rejoice Pom Pom Maker Set. In this week's post, we've got plenty of ways for you to use your poms to make fashionable and fun projects to make, wear and give! 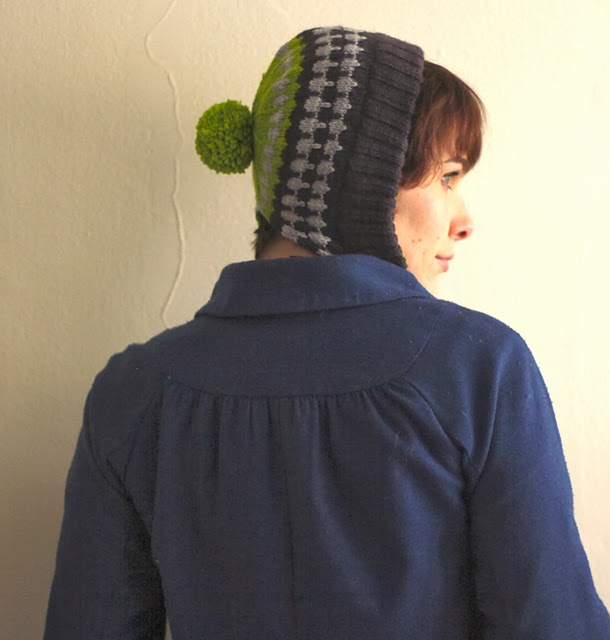 First up, we have the tried-and-true pom pom hat, which is clearly a favorite fall trend - just look at all of these new fall designs from Knit Simple, Dull Roar, Knitscene and the My Mountain Series! L-R: #17 Striped Toque by Christina Behnke, Kotiya by Alexandra Tinsley, Kilimanjaro from the My Mountain Series, and Forester Hat by Ashley Rao. Pom poms can add a flourish to everyday items such as scarves, handbags and blankets. 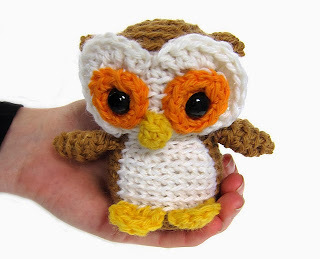 They're also excellent for making cute little toys: there are plenty of pom pom animal tutorials on Pinterest, or you can sew on a pom pom tail as shown in Rebecca Danger's squirrel toy from her new book or Raveler Mercourier's Button Bunnies. L-R: Pom Pom Happiness Scarf by Mary Jane Mucklestone, Sherbet Dip Blanket by Nicki Trench, Animal Pom Poms, Small Squirrel by Rebecca Danger, and Pea Pod Purse by Anna Tirat-Gefen. We've also spotted some creative uses for poms such as wall hangings, flowers, and even a chandelier! L-R: Pom Pom Chandelier, Ever Blooming Flowers by Gari Lynn, Pom Pom Wall Hanging, and Pom Pom Wreath by Mary Jean Daigneault. 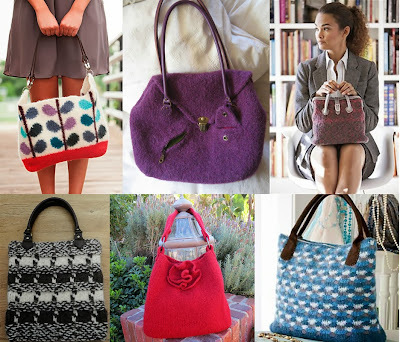 For more pom pom project ideas, check out our inspiration board on Pinterest. We hope you'll share your pom pom projects with us this fall in the Knitter's Pride Ravelry group! 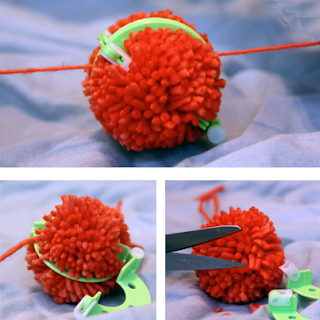 Rejoice, our easy-to-use pom pom maker is here! Pom poms are a great finishing touch and are one of the hot trends we've spotted for fall. Our new set includes four sizes, each in a bright color unique to its size. There's no end to what you can make with your pom poms, and we're sharing some of our favorite ideas here on our pinterest board. Below is our easy photo tutorial to walk you through the steps from start to finish. 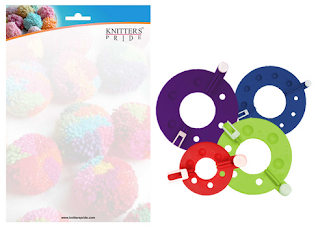 We're also giving our readers a chance to win 1 of Knitter's Pride Rejoice Pom Pom Maker Sets this month (see contest details below). Thanks for joining us! Place the two parts, one over the other as show in the image above; the side with the holes should be matched up to the side with the convex depressions. Begin to wrap yarn evenly from left to right on the first side. TIP: It is helpful to count your wraps to ensure an even pom pom! Wrap other side as before. 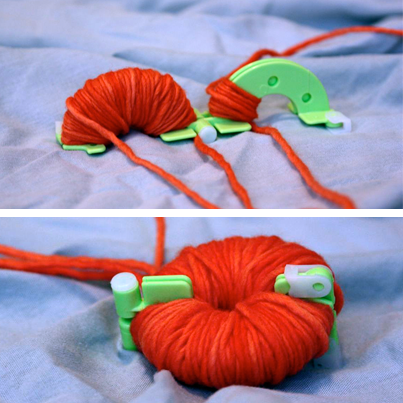 Cut yarn and bring each side together as pictured. You should be able to lock the pieces together with the latch on each side. Begin to cut the yarn from the outer circumference and continue all around(your scissors should fit in the space between the pieces, which acts as a guide). 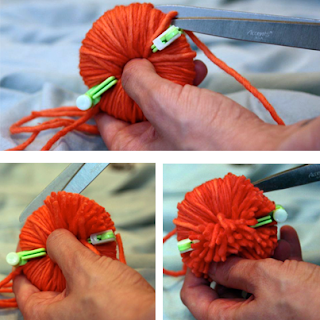 Take a length of yarn to knot through the middle twice, pulling taut to secure the pom pom. Once it is secure, open the latch and remove the pom pom maker. Trim and shape the pompom by cutting extra bits of yarn with scissors. Voila! You have successfully made your first pom pom! Shown above are pom poms in each of the four sizes available in the set using Manos del Uruguay Maxima yarn in color #2180 Clementine. 3 lucky readers will be randomly-selected to win one of our new Rejoice Pom Pom Maker Sets this month. 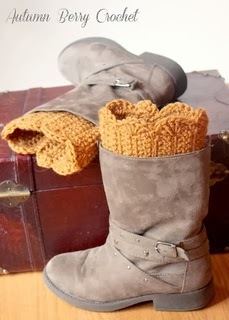 To enter, simply leave a comment on this blog post sharing your favorite pattern that uses pom poms! Be sure to also leave a way for us to contact you if you win (email address or Ravelry ID). Please, only one entry per person (note: comments are approved daily by our moderator and may not appear immediately upon posting). We will announce our winners in our next blog post on Friday, September 27. Good luck!